You can buy small and still have it all. 1. An itsy-bitsy waffle iron to make a stack of the ol' grid-cakes for your own Responsible Eating Contest. "I ate 12 waffles, this morning; I'm an athlete." 2. Or, an adorable, teeny cast-iron skillet so you can cook that single egg you need to boost the fried rice you bought yesterday, without having to clean a full-sized pan afterward. I'm an advocate of throwing a fried egg on (almost) every dish, and this classic egg-based BuzzFeed post will leave you equally converted. Get it as an add-on item from Amazon for $4.67 (bigger sizes are also available, but that's not what we're here for, right now). 3. 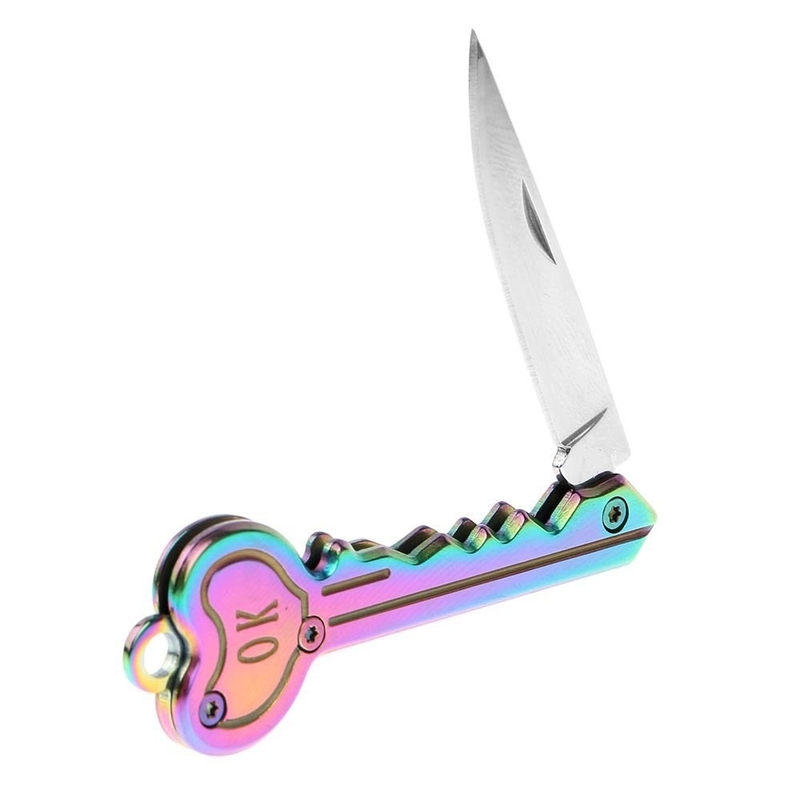 A letter opener concealed as an iridescent key for anyone who's tired of desperately pulling at the flaps of sealed letters until they ~graciously~ decide to open. A lot of reviewers also purchased this for its utility as a self-defense tool, and I can definitely relate to that, because being alive is terrifying. While we're on this topic, I recommend looking through these 11 self defense tips, to make you feel a bit more prepared. Get it from Amazon for $3.19. 4. A pocket-sized and animal-shaped bluetooth speaker so you can always have access to a pet that serenades you with hits from your curated playlists. "Little Cat Speaker, I'm about to cue up Pet Sounds by The Beach Boys." This speaker can also be used to remotely activate your phone's camera for selfies and videos; no other pet will be this cooperative when it comes time to update your Instagram. Get it from Amazon for $24.99 (available in seven animal shapes). 5. A (relatively tiny) personal and portable washing machine that washes your most comfortable t-shirt for another round of sleeping through your morning class, without forcing you to leave your dorm-room to do it. This features a washer with a 4.7-pound load capacity and a dryer with a 4.3-pound load capacity, so it has enough room to wash and dry your favorite outfit in around 20 minutes. I need one of this for my NYC apartment, immediately. Get it from Amazon for $81.99+ (available in three colors, and in larger 13 and 17-pound sizes). 6. A set of delicate, floral wine charms so you can finally tell Agatha, "Yes, this is my glass of Chardonnay. Please, direct your eyes to the orchid on my stem." This set includes three each of four different flower shapes, all made to intuitively wrap around and mark the stem of your wine glasses; dishwasher-safe as well, so you don't have to hand-clean any flowers, thankfully. Promising review: "I purchased these for my wedding party to mark our glasses, and they're functional and adorable! They worked great and everyone was fighting for the flower they wanted. Not to mention, the price is a deal!" —C.C. 7. A 16-pack of miniature Nutella jars to carry in your purse, backpack, your non-dominant hand (all day), or any and everywhere you need a dab of chocolately hazlenut. 8. 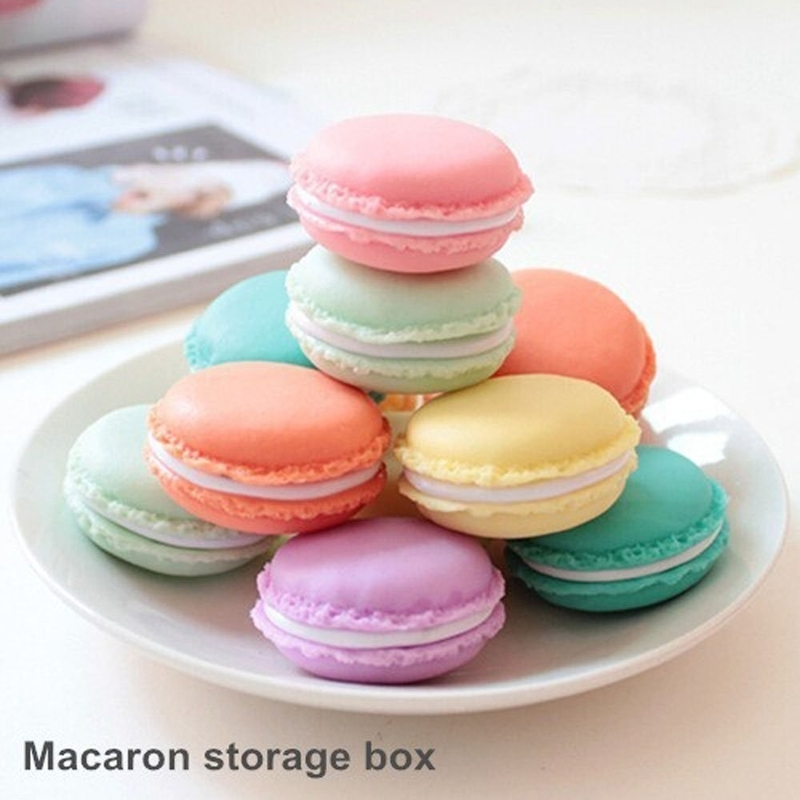 A set of pastel macaron cases, a cute and confectionery storage answer for your cute and easy-to-lose valuables. Get a set of six from Amazon for $6.35 (also available in a larger size, and as an eight-piece set). 9. Or a diminutive dinosaur ring holder, so your wedding ring can be protected from the Shower Drain Abyss by the dependable neck of a ceramic Brontosaurus. Get it from Amazon for $8.99+ (also available in dino with hearts all down its back, or a duo of rabbit ring holders). 10. A handheld remote control for your cameraphone shutter for anyone who knows the pain of setting your iPhone's camera timer, getting into frame and posing, hating the pic, and having to repeat the maddening process all over again. This remote is operational from up to 30 feet away, so snap a bunch of full-body outfit pics to choose from with greater ease than ever before, thank God! Get it from Amazon for $8.49+ (available in 10 colors, and in lanyard and/or two-pack bundles). 11. A ladybug vacuum cleaner that gathers the crumbs off your desk, because cleaning is more fun when you can rely on an electronic insect to do it for you. This ladybug is powered by AAs (not included in the package), so stock up on batteries. This made it on our list of the 21 best vacuums you can buy online! Get it from Amazon for $8.99 (also available in pig, meaning you can get a mini pig and watch it go hog-wild on your crumbs). 12. A five-pack of hand-selected succulents so you can do a little bit of gardening (and oxygenate your space) with only a little bit of effort. "My green thumb is small and low maintenance." If you're already initiated to the Succulent Life, check out this list of 33 things every succulent nurturer needs to own. Promising review: "I received my succulents sooner than expected and they survived well during shipping; in fact, I received six plants instead of five, plus some air plants for free! I hadn't seen air plants before and they're very cool! Plus, this company pays adoption fees for dogs and cats in shelters, which is even more of a reason to purchase these plants! I'm very happy with my order and I will definitely be purchasing more when!" —Amber J. 13. A petite steam iron that doesn't monopolize all the space in your suitcase, because all your vacations should be stress and wrinkle free. 14. A 27-piece first aid kit guaranteed to become your most steadfast Adventure Buddy and end the days of you scrambling to find a Band-Aid. 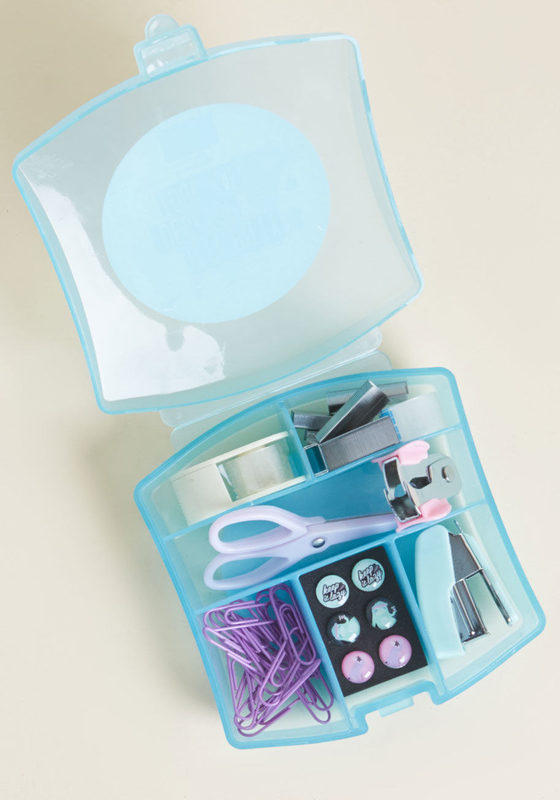 This kit contains six 1x3-inch bandages, four small bandages, two butterfly bandages, two spot bandages, two knuckle bandages, three antiseptic wipes, two sting-relief wipes, one 2-inch safety pin, one 1-inch safety pin, two antibiotic ointments, and one razor blade in a brushed-metal tin. 15. A set of 3x3-inch canvases on tiny easels so you can finally start painting without making a big deal about it. You know, you're just dedicated to capturing the beauty of life's little moments, no big deal. Get a set of 12 from Amazon for $17.96. 16. An electronics cleaner brush to get into all the nooks and crannies of your keyboard, completely erasing the evidence of that time you tried typing with Bugles on your fingers. "Please refer to me as 'The Snack Witch' and read my blog." 17. An animal-shaped cord protector that protects your charging cable with all its teensy-weensy body is worth. Get it from Urban Outfitters for $6 (available in 16 animals). 18. A Harry Potter figurine light so you can turn your after-midnight trip to the bathroom into a ~magical~ adventure. Kind of unrelated, but Ron and Hermione would never last as a couple in real life, so keep their figurines separate. Get it from Firebox for $12.89 (also available as a Ron, Hermione, or Hagrid figurine). 19. 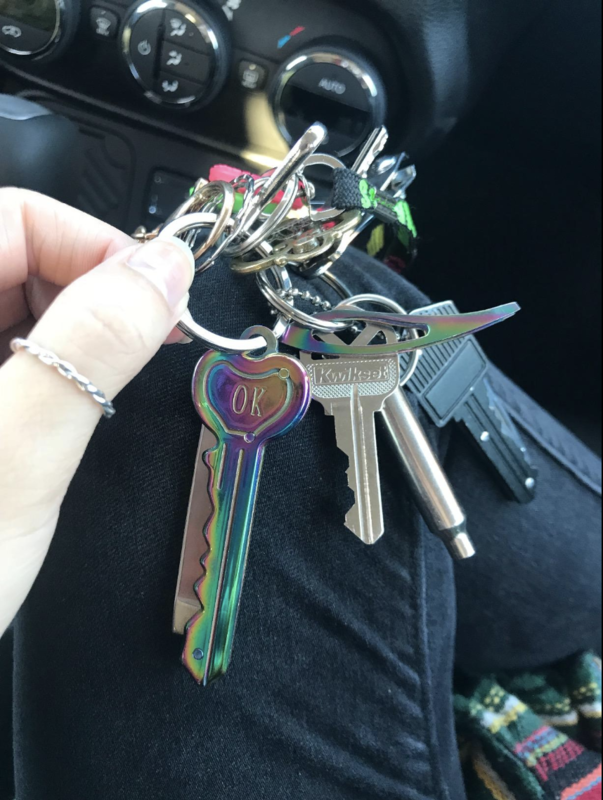 A two-pack of military-grade can openers that fits on your keychain, can be used as a multi-tool, and won't take up All The Space in your utensil drawer. These metal babes were invented in the 1940s and have been reliable ever since. You can use them as bottle openers, letter openers, to do anything that needs a bit of an edge or a pivoting notch. Bit of a sad anecdote, but one of these can-openers is probably the best gift my father ever gave me; I've used that one can-opener for a decade, instead of having to buy a bunch of those spinny-handle ones. Get it from Amazon for $129 (available in two colors, and in a bundle with film packs). 21. A pack of Cosrx hydrocolloid pimple patches tiny enough to always keep with you, for all the zits you're only going to find when you're out in the embarrassing world. 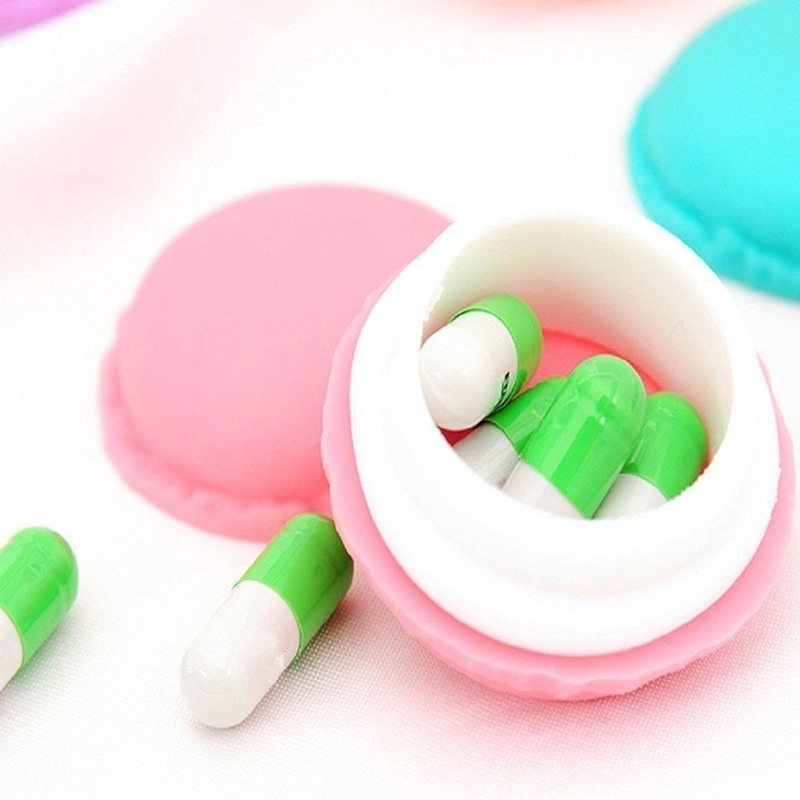 Read up on a BuzzFeeder's experience with these little miracle-workers, while you're waiting for your own pack to arrive in the mail. Get a pack of 24 patches from Amazon for $4.89. 22. A set of blindspot mirrors so you don't back the car over that basketball you ALREADY told your daughter to put away. Get a two-pack from Amazon for $7.49 (also available in a four-pack). 23. A set of cat page flags with their own little boxes to sit in, guaranteed to keep your place in the Cat Parenting book you're reading. "On page 126, it says my cat doesn't hate me and that's a relief." Get a set of 150 cat page flags from Amazon for $8.69. 24. And an itty-bitty desktop toolkit to make more room on your workspace for pictures of your aforementioned Cat Child. 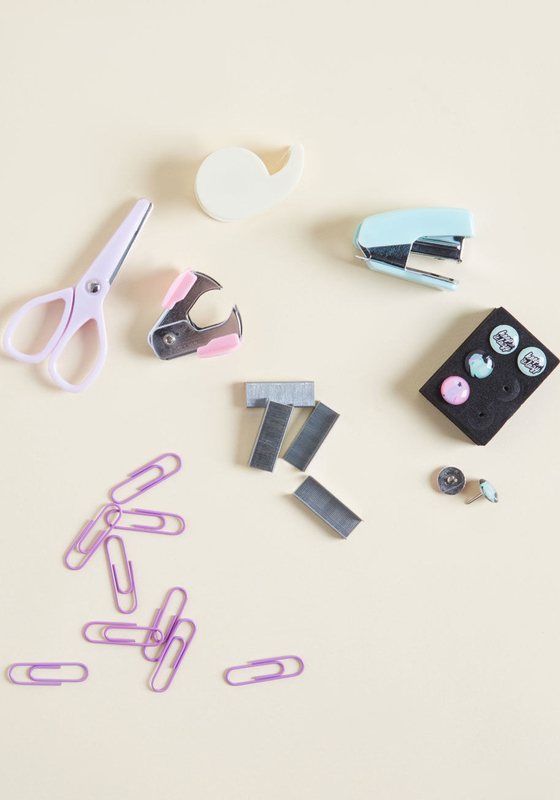 The kit includes a mini tape dispenser with a refill, small staples for its mint stapler, lilac scissors and paper clips, a pink-detailed staple remover, and six push pins with llamas, sloths, and a reminder to go at your own pace, all kept in its teal case, so cute! You need all this stuff anyway, so keep it in a compact case. 25. A set of dip clips sent back from a future where you're happy and safe, because your salsa is always right there, waiting at the edge of your plate. Get a set of four from Amazon for $6.96. 26. 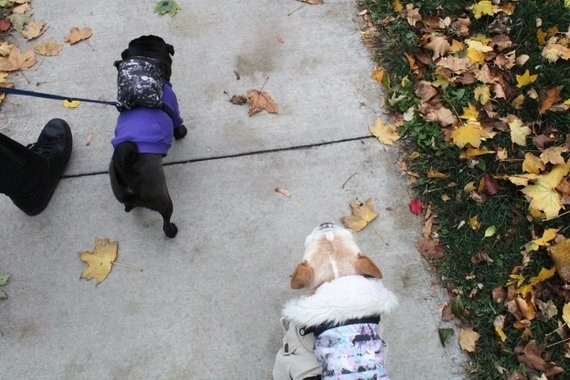 And a backpack harness for your tiny doggo so you no longer have to be the only one carrying treats and poop-bags. Get it from MaggieModena on Etsy for $44.95+ (available in sizes XS–M). 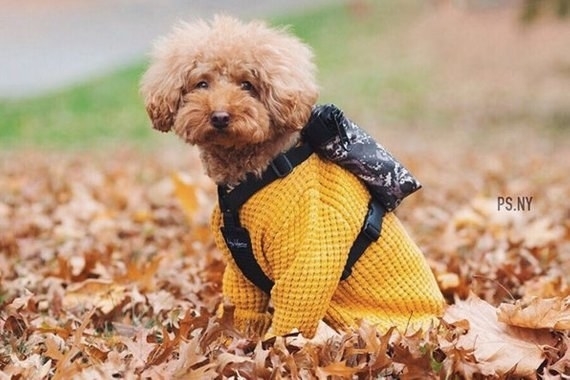 Wow, just give that dog a backpack already.